A product of generations of Cornish miners and mining engineers, Tris followed in the family tradition of going underground at the age of 18. Upon realising life could be slightly less punishing than 12 hour shifts collaring off 3m compressed air leg drill steels, Tris enrolled at the UK’s world renowned Camborne School of Mines in 1988, graduating with an HND in 1991. Then after gaining his Honours degree at University in London, he travelled to Australia in 1996 where he sub-contracted in the mining and exploration departments on Western Australia’s goldfields. Upon returning to the UK in 1999 he was offered a job as a trainee technical writer on Tunnels & Tunnelling International. 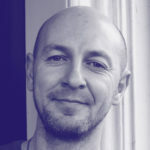 Within two years Tris was to become the magazine’s editor, and with a solid team he steered the magazine from troubled waters back to premiership status. After 10 years with T&TI, Tris felt it was time for a new challenge, but still enjoys working in the industry and editing Tunnelling Journal, a magazine proud to be ‘from the industry, for the industry’. Gary has been in sales for over 37 years, selling products such as domestic appliance spares, mobile phones, telephone systems, photocopiers and stationary. He started his publishing career in January 1989 working for Benn Publications as a sales executive on a magazine called Printing Today. In his first full year Gary increased the advertising sales revenue by a record 80.33% on the previous year. 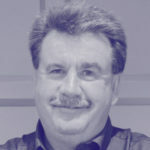 Still at Benn’s (later to become Miller Freeman), Gary worked on leading titles within the flooring and then furniture industries, securing his first managerial role in April 1996. Looking for a new challenge, Gary left Miller Freeman in August 2000 and joined Polygon Media to manage one of their magazines ‘Tunnels & Tunnelling International’, playing a key role in growing the business. 30 years in B2B publishing and 19 of those in the tunnelling industry, Gary has continued his publishing adventure as a partner with Tunnelling Journal and is as committed as ever to delivering a quality industry magazine! Daniel has 30 plus years’ experience in sales, 10 of those in Recruitment. He started his publishing career as a sales executive working for the local paper, Friday-Ad. In December 1992 he joined Wilmington Publishing for a five year period working on their industrial portfolio, starting in junior sales working up to management. 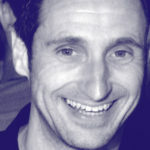 He have since worked for organisations including Capital Radio, LBC & News Direct radio stations, Totaljobs.com, HPCi Media & various recruitment consultants. He has had many successes in his career working on key accounts including Emirates, DHL, Virgin, Lotus, Bayer, Siemens, Hitachi & Omron to name a few. He has a true interest in the tunnelling industry having recruited civil, geotechnical & tunnelling engineers in opportunities globally for over 16 years. I know the difference between TBM, EPB, SCL & cut & cover, but I would never call myself an expert. He hopes that his recruitment, print & online experience will be an asset to Tunnelling Journal. The youngest member of the Tunnelling Journal team, Amanda was brought up in North London by a family of graphic design and media professionals. 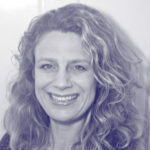 Following several years of working for PR agencies in and around London, Amanda took on the position of marketing coordinator for a tunnelling recruitment agency in 1999. In this role Amanda attended British Tunnelling Society meetings and having witnessed the members’ passion and enthusiasm for their work she soon became entranced with the industry. When a job opened in early 2000 for an editorial assistant on Tunnels and Tunnelling International, Amanda jumped at the chance! 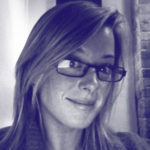 She quickly progressed to deputy editor and in early 2008 also took on the additional role of editor on T&T North America. Amanda decided it was time for a change of scene and for the last 8 years has been working with Tunneling Journal, while traveling around North and Central America. With a career that began out on site as a graduate engineer, Kristina has been writing about civil engineering and construction for over 20 years. Starting out as a technical writer on Construction News, she progressed to features editor, before being poached by Property Week to be assistant editor. After a stint as editor on monthly magazine Construction Manager, Kristina began her freelance career in a bid to balance home and work commitments. Tunnelling articles are among her favourites, with every assignment offering the chance to learn something new and talk to some of the world’s most interesting engineers and experts. Kristina has been writing for Tunnelling Journal for five years, covering topics from tunnel linings to deep interventions, and reporting on tunnelling projects around the world. 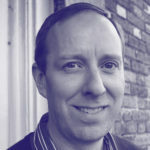 Mark graduated from University of East Anglia in 1985 with a First Class degree in Chemistry and spent five years working as a Research Chemist in the agrochemical industry. Looking for a new challenge Mark qualified as a Chartered Accountant in 1993 and joined Burmah Castrol plc in the group head office. Moved to Burmah Castrol’s Minova business unit in 1998 as Group Finance Director. 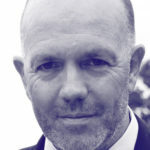 Mark headed the Minova group’s international finance function through a period of exceptional growth and under three different owners before leaving the company at the end of 2008 following its sale to Orica. 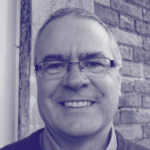 Rory graduated from London University in 1980 with a degree in Geology and spent seven years working as a geologist in the oil industry in Europe, Middle East, and Africa on both land and offshore installations. In 1987 he joined what became the Minova Group working in the Civil market in the UK, predominantly in the gunite market, but also supplying the grouting system for Channel Tunnel. Rory moved to the USA in 1990 to what was originally known as Celtite Inc, the supplier of resin cartridges to the Tunnelling and Mining Industry, where he remained for nearly twenty years. The last ten years were spent as CEO of Minova USA (until 2009), which supplied a wide range of products for Roof Bolting, Ground Consolidation, and Coatings Applications on projects throughout North and South America. Peter started his career as a mining engineer in the UK with Minova before moving into ground control consumables within the Tunnelling and Mining industries. Peter held positions in sales and technical marketing, responsible for the resin capsule product portfolio. Peter then held positions as Chief Executive in the UK, South Africa and then Europe. During his time in Europe the German office became the centre for company’s tunnelling activities. Peter then became the International Business Development Director and Board member of Minova International. In this Role he took the company into Russia, India and China as well as being responsible for the media budget and brand development. Peter left Minova at the end of 2008 following its sale to Orica.